Choose an option20 ml.8 ml. 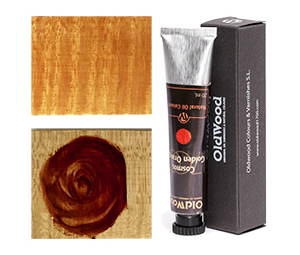 The pigment chlorophyll complements the red pigments that are so profusely used in string instruments, creating harmony through complementarine. Chlorophyll is one of the so-called photosynthetic pigment. For that reason it is found in all organisms that perform aerobic photosynthesis: cyanobacteria, plants, and algae. Chlorophyll was discovered in 1817 by Pelletier and Caventou who isolated it from the leaves of the plant. These two chemists also isolated other substances that are used in pharmaceutic industry, such as caffeine and quinine. Its chemical structure has of two parts, a poryphin ring with a single magnesium atom in the centre, and a long phytol chain. Chlorophyll is also the generic name for a large number of compounds, including Chlorophyll a, which is a microcrystalline pigment with a blue-green colour, and Chlorophyll b, which is pigment with green-yellow colour. Chlorophyll often has secondary pigments such as carotenoids and phycobilins, which supply yellow, orange, and reddish shades. In alchemy, the colour green, in the form green crystals, symbolised the “secret fire” of the living spirit in substances. 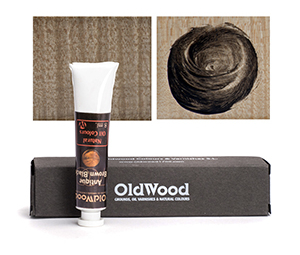 OLD WOOD presents a green hue with a soft hint of yellow, that is warm, clean, lively, and very transparent. 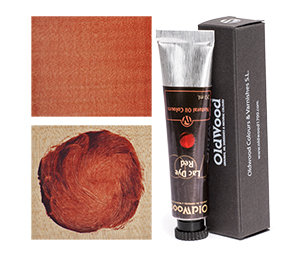 In accordance with the Michel-Eugéne Chevreul chromatic circle, the pigment chlorophyll complements the red pigments that are used in string instruments, creating harmony. Walnut – Dark Brown is the neutral hue that OLD WOOD has developed to correct the red hue.